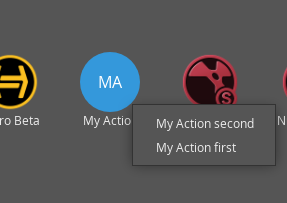 To group actions together, give them the same label and specify a unique variant per action. I input the same label and set the "variant" attribute on 2 of my actions to different strings, but there are still 2 icons appearing, labeled with the same name. What is the actual outcome of this when done correctly? Is there an example you can provide so I can troubleshoot what I'm doing wrong? I've been looking now at the example you posted, and looks like it's missing something in order to cope with what you are after. Here how I got it working. each of these files contains a copy of the linked example. 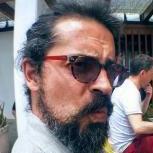 Which aims to simplify the implementation of custom actions (http://ftrack-action-handler.rtd.ftrack.com/en/stable/). Please let me know if you have any further issue or questions. Yup you're right, I hadn't included variant in the discover function. Thank you very much! Let me know if you have any other issue or question.